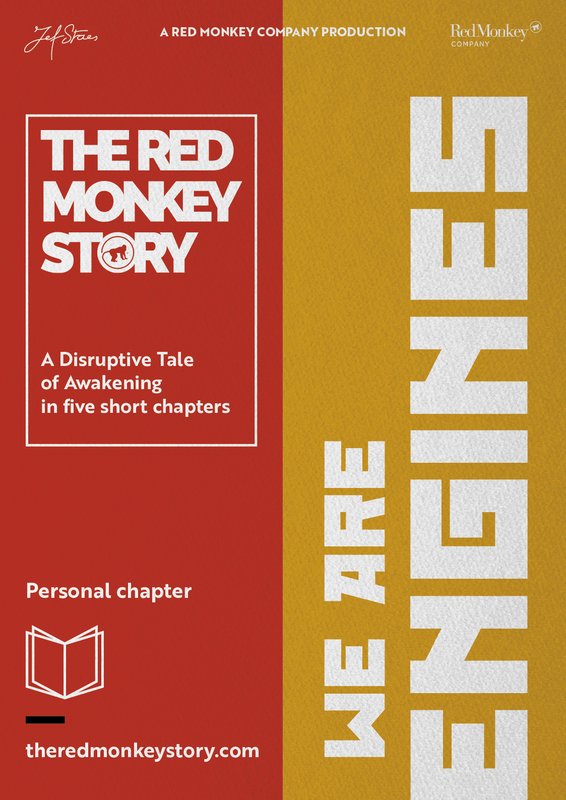 In order to bring structure to the ‘Red Monkey Story’, it is comprised of the five chapters. Each of these discusses a different aspect of Innovation Management and gives new insights and tools to change your organization. There is an order to the story, but each chapter can easily be followed as stand-alone episode. This chapter talks about today’s business challenges. It explains the urgency needed for a new approach to innovation management. ‘Red’ introduces important vocabulary such as 2D & 3D and “Red Monkey Innovation Management” and serves as a crucial introduction to the following chapters. For whom? Everyone. We highly recommend starting with this introduction, either by attending a lecture or an awakening before tuning into any other part of the story. To create sustainable and innovating organization, it is crucial to understand how people learn and what it means to be ‘Smart’ today. So wake up and rediscover the employees of the future - 3D-Smarts. ‘Engines’ will introduce metaphors to better understand learning and explain how to support your own and others personal development process. For whom? ‘Engines’ is a must for all passionate creators and entrepreneurs. It is also highly recommended for all personal coaches and HR-employees dealing with learning & recruiting. This module will introduce the competences of managers and connects this with an urgently needed realignment of Human Resources Management. It also introduces the EOI Agility Matrix as a guiding tool. For whom? ‘Heroes’ is primarily aimed at (future) team or project managers and HR- employees & -executives. It’s also a good fit for team coaches. Competences and processes are only one side of culture innovation. If organizations want to become agile, they also have to restructure the way teams and business units develop their portfolio. This is where the concept of Red Monkeys - disruptive ideas - returns to our story. ‘Jungles’ translates ‘Red Monkey Innovation Management’ to concrete steps and practices. This part introduces the EOI Portfolio Matrix as a compass and development tool. For whom? ‘Jungles’ is a logical choice for all Business Unit Managers, but also for Innovation Consultants, Executives & Managers. 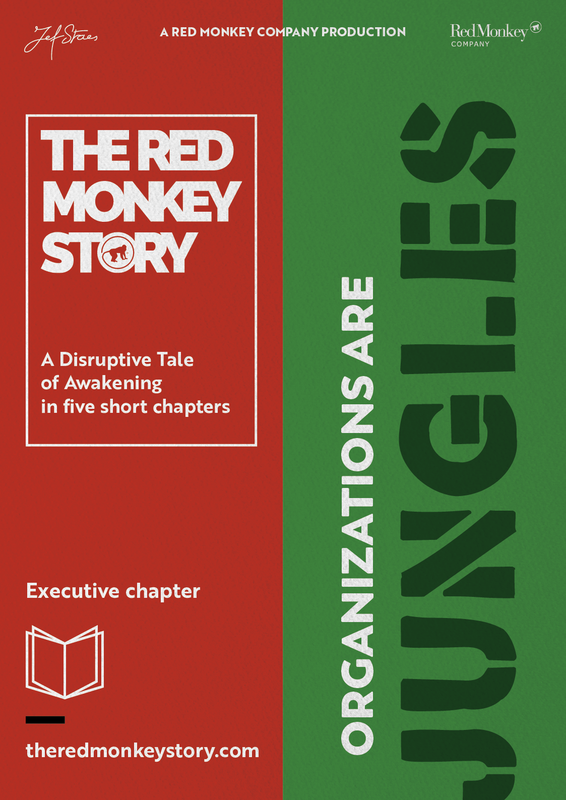 “How do you transform organizations from 2D to 3D?” That is the key question where ‘Rise of the Red Monkeys’ looks at. Based on Jef’s experience with large scale transformation processes, he developed a transformation strategy: EOI Steps. For whom? Rise is really aimed at CEOs, Executives and Executives Coaches. It’s also a valuable chapter for anyone dealing with broad Organisational Projects.